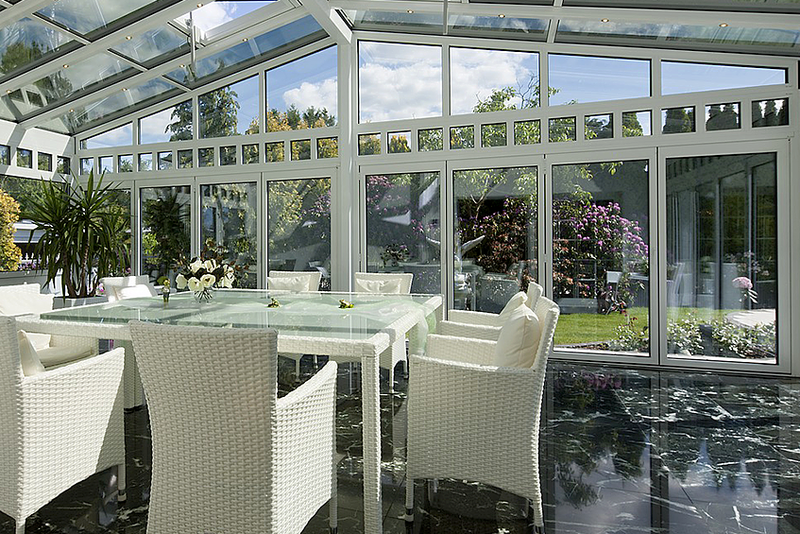 Of course, one of the main advantages of installing aluminium security doors is the protection they provide. Aluminium is a lightweight yet highly durable material. It goes without saying that it can withstand significant amounts of force. This also means that you have protection against standard burglary attempts. Here at Aus-Secure, we offer aluminium security doors that have passed anti-jemmy, knife shear and impact tests. 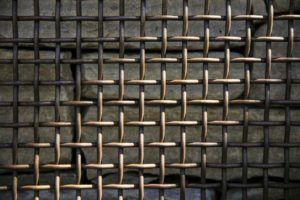 Moreover, they feature deeper welds that offer protection against pre-emptive and targeted attacks. Typically, the weakest points of an aluminium door are the parts where the mesh meets the frame. A thief equipped with this knowledge can easily damage the door, making minimal sounds. On the other hand, our aluminium security doors have deeper welds, preventing burglars from making significant damage. Aluminium security doors are probably one of the most durable security products today. What’s great about their material is their anti-corrosive quality. Aluminium is so resistant to rusting that it is widely used in the marine industry. When you opt for an aluminium security door, you can have a product that won’t easily wear over time. If you live near the coast, rusting can be a serious threat to your security door. You do not see it in plain sight, but salt particles can be carried by the wind or through the atmospheric humidity. The terrible thing about rusting is that it happens rapidly yet discreetly. You will only start to notice it when the damage is already big. With aluminium security doors, you do not have to worry about rusting. A lot of homeowners do not equate energy efficiency with aluminium security doors. When you shut your doors for security reasons, you are preventing ample airflow. This can be an issue during summer months when it can get uncomfortably hot. Especially when temperatures exceed 30 degrees Celsius. To keep yourself comfortable, you would have to turn on your air conditioning unit. Keep in mind that air conditioners can consume significant amounts of energy. Consequently, you would have to deal with skyrocketing electricity bills. On the other hand, when you have an aluminium security door, you can let air flow through your house. Here at Aus-Secure, we offer aluminium security doors that also function as screen doors. By keeping your security door shut, you can open your main entry door, let fresh air in and still secure your home. With proper airflow inside your home, you can lessen your air conditioning usage and save a great deal of money on your electricity bills. Aside from that, by turning your air conditioning unit off, you are reducing your carbon footprint which can also be good for the environment. Another advantage of installing an aluminium security door is the fact that it adds to the value of your house. There are security doors that come in beautiful designs and patterns. This means that by having one, you are also increasing the kerb appeal of your home. Should you decide to put your property on the market, you will be able to sell it at a higher price. If you can prove that you have the capability to enhance the security of your home, then you may potentially lower your home and contents insurance fees. When you install an aluminium security door, the thieves will have a harder time breaking into your home. Consequently, your insurance company will tag your property as less of a risk. Security Screens – You can mount these on your windows and keep pests and burglars out. They are strong enough to deter attempts on forced entries. Home Alarm Systems – An alarm system is an efficient security feature for your home. It can also be connected to a monitoring service which can notify authorities in the event of an emergency. CCTV Cameras – Having cameras around your property allows you get a view of all aspects of your home. They also serve as visual documentation of the burglary. Pedestrian Gates – Our team at Aus-Secure can install a pedestrian gate that is specifically designed to secure your home. 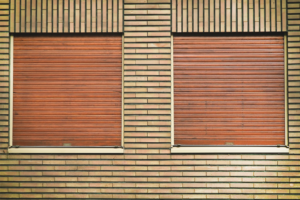 Roller Shutters – This is a good alternative to security screens. Aside from securing your windows, they also offer lifestyle benefits like enhanced kerb appeal and added privacy. Automatic Driveway Gates – Instead of getting a manual gate, an automatic driveway gate is the safer option. You do not have to get off your car just to open it. There are different types of aluminium security doors available in the market. Give Aus-Secure a call today and our friendly staff will be more than happy to help you determine the security door that meets all your requirements.